With all the atmosphere of European Soccer at its highest level, you (and your friends - up to 64 players can compete in competitions!) can take a squad of 16 players on to cup glory. 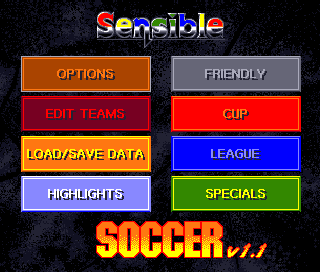 Hi, when I start Sensible Soccer (ADFFS 2.72 / boot with floppy), game doesn't show any intro. It immediately asks disk 2, and when inserted (ctrl+shift+F2), menu appears. However I can't choose anything. Shouldn't it be possible although I haven't got joystick? If I click game's icon in desktop instead of ADFFS's boot with floppy, game's intro appears. However I don't know how to change to disk 2 if game has been started this way. Many thanks Jon! 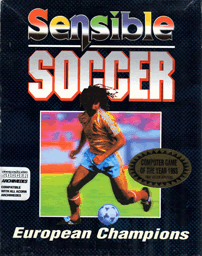 I edited obey-file and was able to play Sensi Soccer with keyboard.